Now that the nefarious of Black Claw have been silenced, Nick (David Giuntoli) faces an all too familiar foe in Captain Sean Renard (Sasha Roiz). Having gained a seat of power as the mayor-elect of Portland, Renard is poised to bring rise to his own brand of law and order. 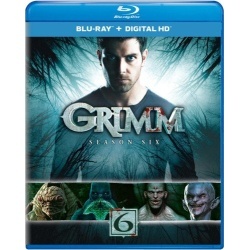 Nick must take a stand to protect his city and those closest to him, especially his child with Adalind (Claire Coffee). It will take the full of Nick and his allies to find a way to bring peace. Meanwhile, Monroe (Silas Weir Mitchell) and Rosalee (Bree Turner) grapple with bringing a child into a new and tumultuous world, and Eve (Bitsie Tulloch) faces unsettling identity issues as her former self lurks below the surface. 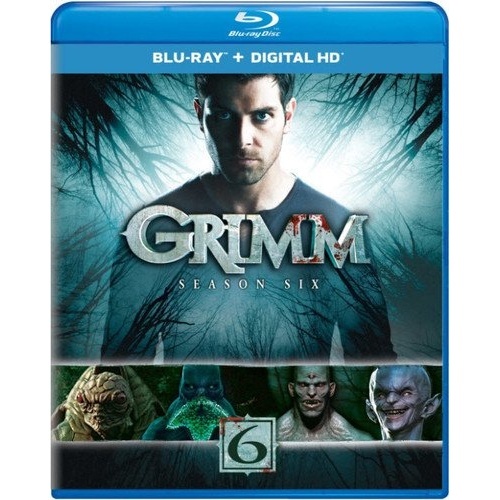 Own all 13 spine-chilling episodes of the final season of Grimm.